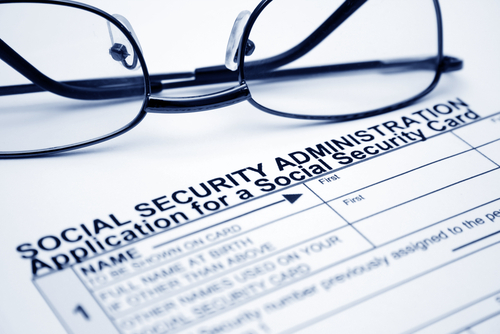 The recent budget deal eliminated the “File and Suspend” Social Security benefit strategy. File and Suspend allowed married couples to maximize their benefits by deferring collection of individual benefits until age 70 while still receiving a spousal benefit. If you will turn age 66 by May 1, 2016, or 62 by December 31, 2015, you may still be able to take advantage of File and Suspend before it’s too late. As you may have heard, the House and Senate recently approved a two-year budget deal. However, as is often the case, this deal came with some strings attached. In the agreement, there was a major overhaul of how longtime taxpayers, who’ve long paid into Social Security for years, can potentially maximize their Social Security benefits. This will change certain strategies for those who have not yet filed for benefits. But a limited number of taxpayers may be able to get grandfathered in before the old laws are permanently removed. Mark and Angela are a married couple, both 66 years old, which is FRA for their Social Security purposes. Both Mark and Angela are eligible to start collecting their individual benefits, which are $24,000/year for Mark and $20,000/year for Angela. However, they’ve chosen to maximize their benefit by using the File and Suspend strategy. Mark would file to collect his FRA benefit, but immediately suspend it, thus allowing his benefit to grow by 8 percent annually–the program’s built-in annual increase–until he reaches 70. Since Mark filed for benefits, Angela would then be eligible to collect a spousal benefit immediately of $12,000/year (half of Mark’s at FRA), while simultaneously allowing her individual benefit to grow (8 percent per year until 70). When both spouses reach age 70, Angela could then switch to her higher individual benefit of approximately $27,210/year, and Mark can begin collecting his benefit of $32,651/year. What’s not to like? Unfortunately, under the new law, Angela can no longer choose to collect her spousal benefit while her individual benefit continues to grow. She now must take the higher of the two options. This eliminates the “free” spousal benefit that couples received while deferring until 70–something we have long advocated for our clients. In the example above, assuming Angela still waits until age 70 to collect her benefit, the law change will end up costing the couple approximately $50,000 in foregone benefits! However, there is a silver lining to this retirement cloud if you were born in the right year. The deadline for the elimination of File and Suspend is May 1, 2016. So, taxpayers who turn 66 before May 1, 2016, are still able to take advantage of File and Suspend. If you meet that birthdate cutoff and haven’t yet collected Social Security, my advice is to get while the gettin’s good. Additionally, if you are 62 or older as of December 31, 2015, you are still eligible to collect a spousal benefit when you reach FRA and switch to your higher individual benefit later on. This assumes your spouse has either claimed benefits, or has filed for and suspended benefits, by May 1, 2016. As with any law change, it’s important to be proactive rather than reactive. Given the unexpected nature of this change, time is of the essence if you fall into one of the categories listed above. Please reach out if you would like a personalized analysis of your Social Security benefits. It can get complicated, so we are happy to help.